This powerful VMS solution captures, manages, and stores video surveillance across a network – at single or multiple locations – and supports a broad range of IP and analog cameras. 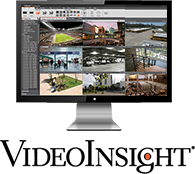 The Video Insight’s Security Management Software is the perfect solution for multi-facility configurations including K-12 schools, universities, city surveillance, law enforcement, transportation, and SMBs in need of a scalable, yet easy-to-use software. In addition, Panasonic’s VI Monitor Plus solution is aimed at making the entire Video Insight video management suite more intuitive, more powerful and easy to use. With key features such as recorded video management, video exporting, live video, notifications and automation, security, storage, performance and support Panasonic offers premium functionality, more powerful than ever. 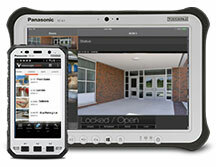 Learn about Panasonic’s line of video surveillance cameras.